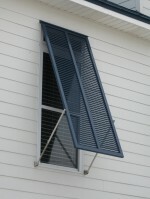 Our Aluminum Hurricane Shutters are tested and approved for use in Florida's High Velocity Hurricane Zones (HVHZ). Upon request we can supply you with the Florida product approval number (FL #) as well as their installation instructions. Check with your insurance company as some may require this information prior to ordering. 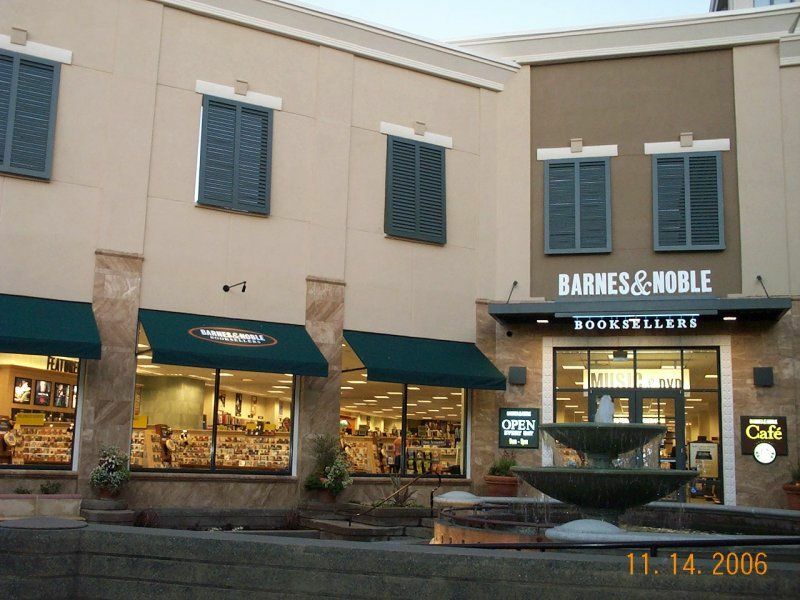 In addition to our Aluminum Hurricane Shutters we offer Non-impact Aluminum Shutters with fully functioning hardware. These are ideal for area where you are not concerend about hurricanes but need prtoection greater than what wood or composite shutters can provide. All of our Aluminum Shutters are available hinged at the top (Bahamas Shutters) and hinged on the side (Colonial Shutters). 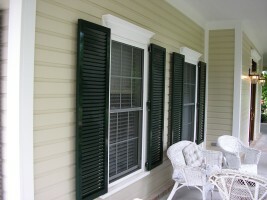 The Bahamas Shutters provide year round shade while Colonial Shutters give a more unobstructed view. Your Aluminum Hurricane Shutters arrive with a durable, 5 year powdercoated finish in your choice of RAL color. 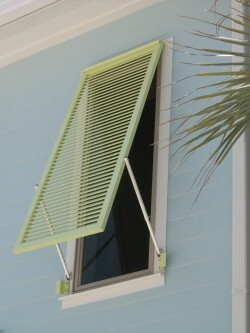 Your Bahama Hinges will also be powdercoated to match your Hurricane Shutters. 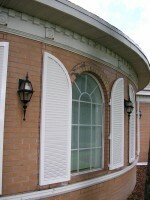 The hinges provided with our Bahamas Hurricane Shutters are a matched set of extrusions. One part of the hinge mounts above your window while the other part is built right in to the top of your hurricane shutter for added stability. The arms are adjustable and are available in 3 different lengths to suit your needs. When it is time to close your shutters you can use the standard Z-bracket or an optional integrated pin latch to secure your home against hurricanes.